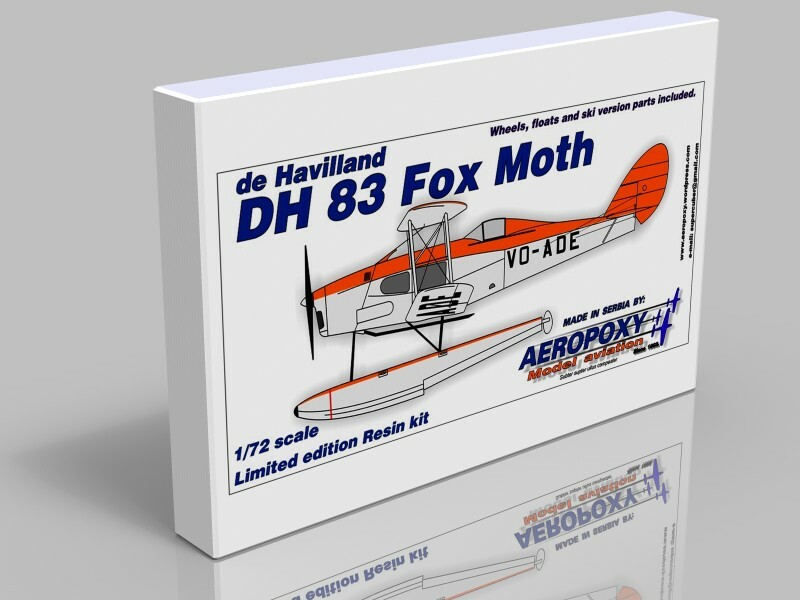 DeHavilland DH 83 Fox Moth 1/72 scale resin kit comes with Canada FoxMoth decal option. Each kit contains resin parts, 2x vacuformed canopy parts , decals, printed instructions and archive CD rom with DH 83 Fox Moth photos, drawings, and modelling details. Three U/C options available, wheel/ski/floats.